What is a Przewalski’s Horse you ask?! 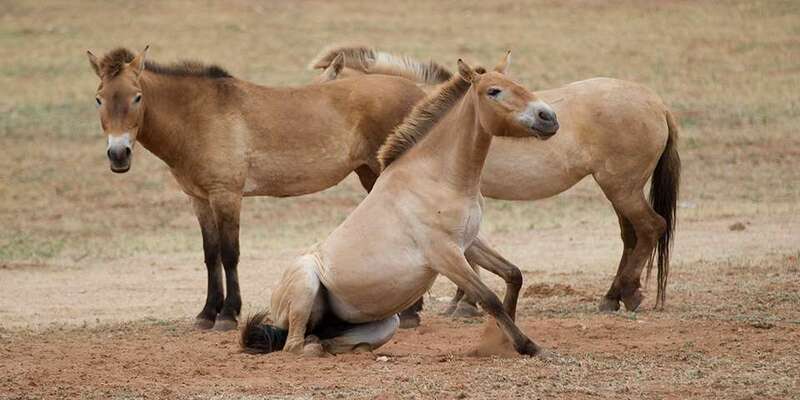 A Przewalski’s Horse, or P-horse for short, is the world’s only remaining wild horse and is native to Mongolia, Kazhakstan and the Gobi Desert. They’re smaller than domestic horses, with stocky bodies, large heads and a thick upright mane. Our first herd of Przewalski’s Horses arrived from the United Kingdom in 1986. The seven females and four males formed the founding members of what was to become our successful captive breeding program, which has seen more than 20 foals born. 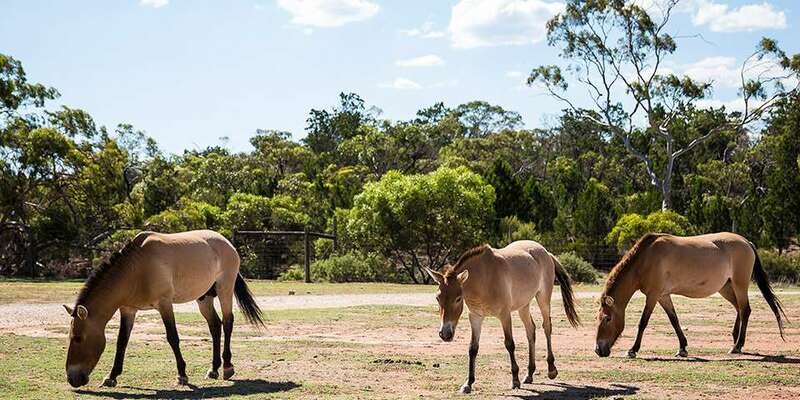 Monarto Zoo currently holds 20 Przewalski’s Horse in several different groups. Managing these horses over the whole site can be a challenge, as the males are highly territorial and need to be housed far enough from each other so that they can establish their own territories. Our breeding group housed in the drive-through habitat had a foal born in February 2014, this male, named Zhenjin (true gold), will hopefully become a productive breeder himself in a few years’ time. Przewalski’s Horses were once classified as extinct in the wild. 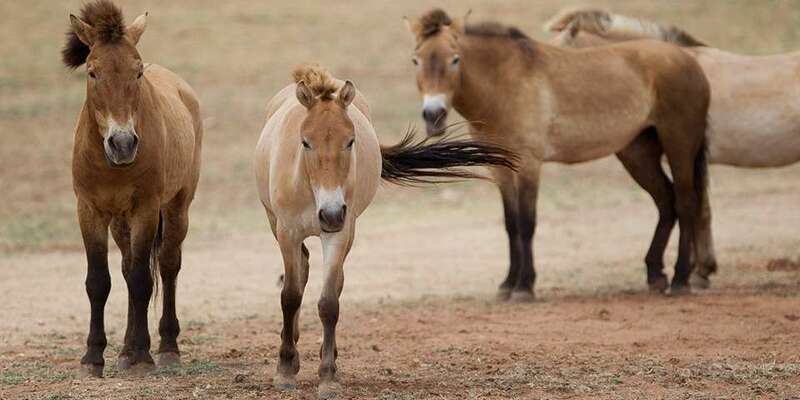 However in 1995, Monarto Zoo participated in a program which saw seven horses successfully reintroduced to Takhi Tal Nature Reserve in Mongolia, leading to the species forming functional breeding herds in its native habitat. As a result, in 2008 their status was downgraded from extinct to critically endangered. The Przewalski’s Horse is an ancient breed. If you were to walk around Eurasia 10,000 years ago during the last ice age, one would encounter Wooly Mammoths, Sabre-tooth Tigers and the Przewalski’s Horse. They’ve managed to survive massive climate change which has wiped out other species and can tolerate some very extreme climatic conditions. 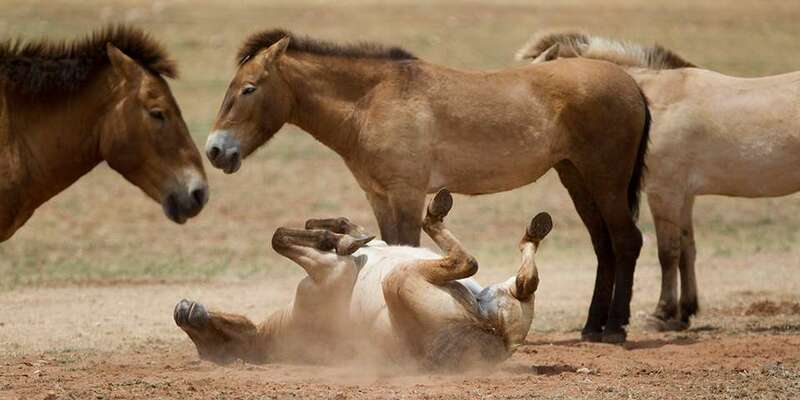 Over time the pure Przewalski’s bloodline can be bred out of wild populations, due to inter-breeding with other feral horses, leading to the species’ ultimate extinction. The population we have at Monarto Zoo is a pure population making these animals very important to the global Przewalski’s Horse conservation program. Love Przewalski’s Horses? Join our herd and ensure they stay a trot ahead of extinction! There are many ways you can help support these magical creatures.